I recently showed my children some old movies. And by old I mean really old. Silent movies in fact. Pre-war in some cases (World War 2, not Iraq). I decided to do it because I wanted them to see some of the films I grew up with. And perhaps more so, I was interested in whether they'd even be entertained (yes, it was an experiment of sorts). 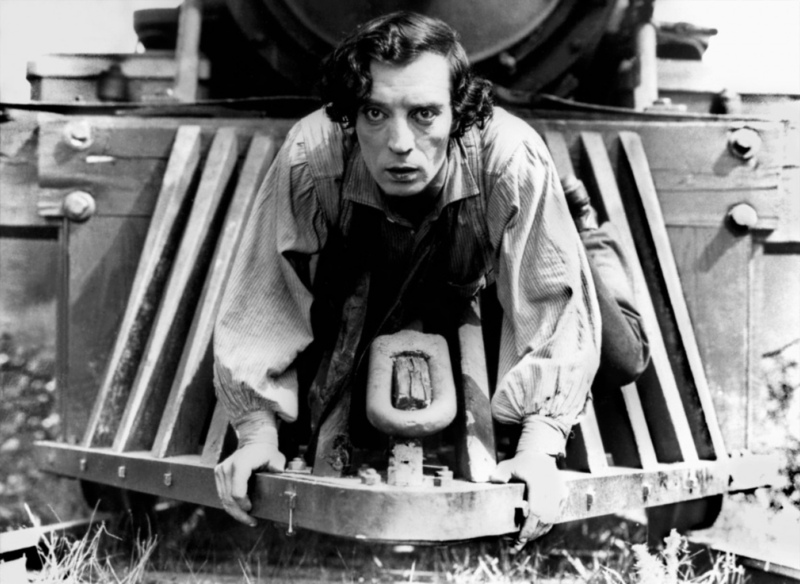 I took it carefully, explained that back in the day films had no sound, were black and white, and picked some of the most knockabout, slapstick, plank in the face stuff I could find. And they loved it. We started with some Laurel and Hardy and by the time those two had significantly failed to get a piano up a flight of stairs the kids were crying with laughter. Encouraged by this we scoured YouTube for more old movies. 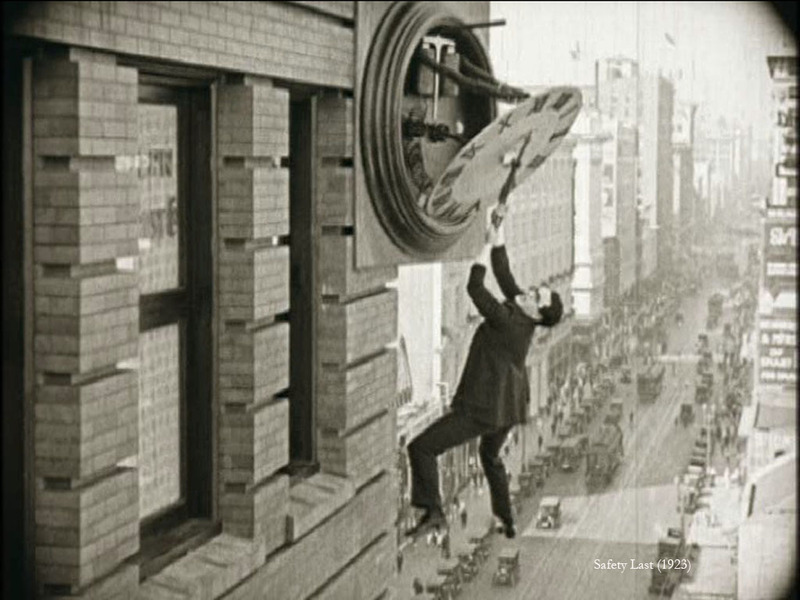 We decided Harold Lloyd would be fun as he had glasses (like daddy) and once I explained that in Safety Last he climbed the side of a building and almost fell off the kids were sold on the idea. And so we must have watched Harold climbing that building 5 times in a row, there were gasps as he hung from the clock face, deep breaths as he swung from a rope, and screams as he fell out of a window. And as we continued to watch compilations of the greatest exponents in slapstick comedy and genuinely dangerous stunts I realised that not once did the children worry about the lack of sound or colour, or whether the special effects were up to much (which is lucky as there were no special effects to speak of). They were drawn into films that relied on visual storytelling. Strikingly, both children understood what was happening through a combination of expressive acting, and really clear film language. I think most people have a good understanding of film language, and for the most part it's unconscious. You know when you've watched a good film, and equally when a film's a clunker you can tell what's coming with almost inhuman foresight. And this is part of the appeal of cinema, and how it came to be America's biggest form of entertainment. In the early 20th Century America took in huge numbers of immigrants and early cinema provided somewhere they could all congregate, irrespective of language, and be entertained. The fact that films had no sound was a huge boon to a burgeoning industry as there were no barriers to entry. And from this film-makers rapidly learnt what worked and what didn't, what stories resonated, which techniques they could use for maximum dramatic effect. And over time, many of these lessons have been honed rather than rewritten. Cinema today still relies on the same visual language of story-telling. Yes, there are more effects than ever before, and sound design has become an additional way to add mood and develop stories. But the initial lessons learnt in the early days still resonate today. I'd recommend discovering (or rediscovering) those old movies and find out what you've been missing.